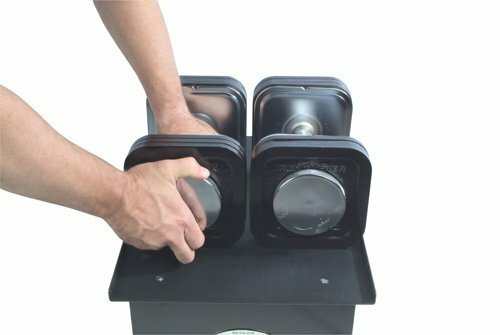 This quick-lock adjustable dumbbell system is a revolutionary set for all ages. It is designed to help you move from one exercise to the next, without wasting the “in-between” times on your sets. Each dumbbell can be adjusted from five pounds up to seventy-five pounds, and the adjustment time only lasts about fifteen seconds. 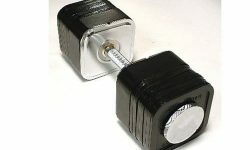 Today, this Ironmaster dumbbell system was specifically designed to provide users with a feel of a traditional dumbbell. In addition, there are no restrictions, so your workout will be efficient and productive. 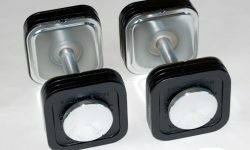 Most dumbbells are not designed to help users have optimal form when performing an exercise. Bulky designs were primarily invented for the basic curls and similar exercises. However, the Ironmaster 75lb quick-lock adjustable dumbbell system is just the opposite. These were built so you could benefit more from sets like; overhead triceps extensions, pullovers, and many others. In order to reach our body’s maximum potential, most of the new workout regimens involve moving from one exercise to the next one without rest. Unfortunately, without a full set of dumbbells at home, a person would have to go to the local gym to make it happen. Luckily, these Ironmaster dumbbells can be changed so quick, there is no need to spend extra money on a monthly membership. Initially, the overall price can be a sticker shock to some weight lifters. You could march right down to the local sporting goods store and purchase one dumbbell for $30 (on average), and start working out. The problem is; you only purchased one set. The Ironmaster 75lb quick lock adjustable system provides 15 different sets all in one set of dumbbells. Even if you purchased each dumbbell at $20 apiece and built a complete workout gym at home, you are still spending $600 easy. 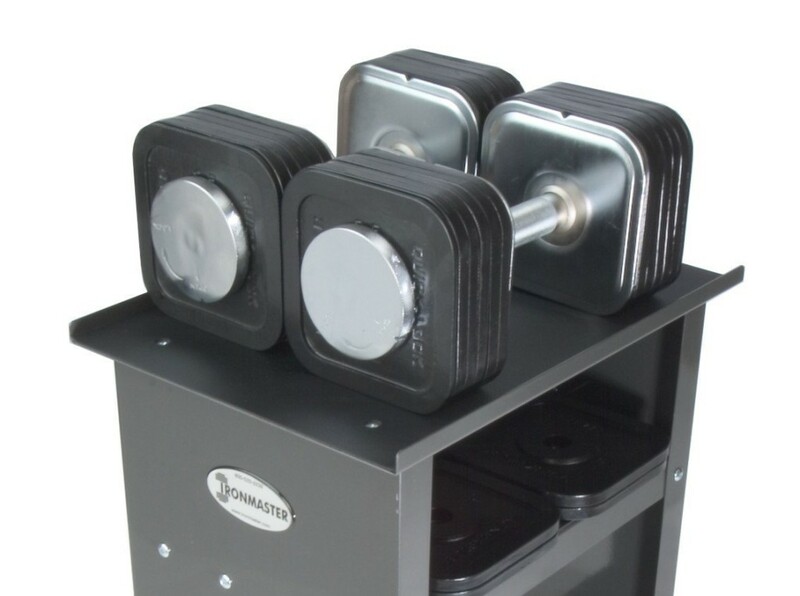 Individuals who live in apartments, or don’t have enough room in their house for a bunch of dumbbells, can utilize this Ironmaster system as an alternative. It comes with a sturdy stand that is smaller than a typical end table, which allows you to keep your dumbbells out of the way, but use them whenever it’s time for a workout. Add all these benefits together and the Ironmaster 75lb quick lock adjustable dumbbell system might be sitting in your home soon.